(New York) – Egyptian authorities have referred hundreds of civilians to military courts based on an October 2014 decree by President Abdel Fattah al-Sisi. At least 820 civilians have been referred to military prosecutors in the past six weeks based on the unprecedented extension of military court authority, according to news reports compiled by Human Rights Watch. Civil prosecutors have used the October decree retroactively, referring cases of civilians already under investigation or facing trial in civilian courts to military jurisdiction. Some had been released on bail by civilian courts. Egypt’s military courts operate under the authority of the Defense Ministry, not the civilian judicial authorities. The judges are serving military officers. Military court proceedings typically do not protect basic due process rights or satisfy the requirements of independence and impartiality of courts of law. Children can fall under the jurisdiction of military courts, which Human Rights Watch opposes under any circumstances. On December 15, 2014, the Supreme Guide of the Muslim Brotherhood, Mohamed Badie, and other top leaders of the group, including Mohamed el-Beltagy, Essam el-Erian, and Safwat Hegazy, were among 310 defendants whose cases were transferred by the general prosecutor in the city of Ismailia. They had been on trial for rioting and inciting violence leading to the torching of the Ismailia Courts Complex in August 2013. The Egyptian authorities labeled the opposition Brotherhood a terrorist group in December 2013. On the same day, prosecutors referred another 40 alleged supporters of the Brotherhood, to the Ismailia military court. They face charges arising from their alleged role in protests, inciting violence, and blocking roads. Eight of nine women and girls among the defendants are secondary school or university students who have been free on bail for several months. They now face possible re-arrest. Human Rights Watch could not confirm the ages of all defendants, but military courts in Egypt, unlike civilian courts, do not differentiate in their treatment of children and adults. On December 13, 2014, Egypt’s prosecutor general referred 439 people for trial by a military court on charges linked to their alleged participation in deadly violence that broke out after the military’s removal of former president Mohamed Morsy in 2013. Of the 439, 139 had been facing trial before an ordinary criminal court in the Minya governorate, while the others were being tried by an ordinary court in Beheira governorate. On December 4, 2014, the chief prosecutor of Menoufia governorate referred 26 men, including six students, to military prosecutors. They face charges of rioting and belonging to a banned organization – the Muslim Brotherhood. 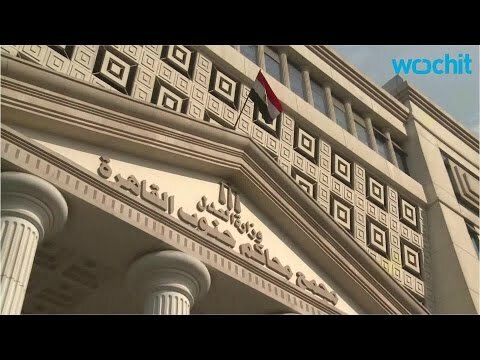 In November, a Cairo criminal court judge referred five al-Azhar University students for trial by a military court because, he said, President al-Sisi’s decree meant that his court “lacked jurisdiction” to try the students who were accused of torching the university's control room in January. Another 11 alleged Brotherhood supporters in the Kafr al-Sheikh governorate were referred to military court trials on charges that relate to events in August. Six of them were accused of disrupting railway tracks, and the other five were accused of planting a bomb in a court. President al-Sisi issued the October decree, Law 136 of 2014, in the absence of an elected parliament. The decree places all “public and vital facilities” under military jurisdiction for the next two years. Article 2, which officials are using to give the law retroactive effect, requires state prosecutors to refer any crimes committed at those venues to their military counterparts. “Militarizing the trials of civilians, including children, is taking Egypt in the wrong direction, and doing so retroactively compounds the abuse,” Whitson said. According to article 93 of the Egyptian Constitution, the international human rights agreements, covenants, and conventions to which Egypt is a state party have the force of law. Ahmed Helmy, a lawyer who has represented defendants before military courts in multiple cases, told Human Rights Watch that he believes that the authorities are acting unconstitutionally by retroactively applying the decree.